On the day we decided to get married on our property I was inspired by images of what the forest would look like on our wedding day. 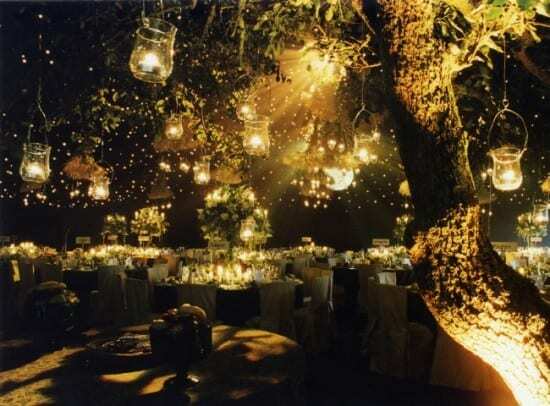 I had two things in mind: lighting up the forest, and decorating the trees. Lighting up the forest involves a lot of jars, a lot of candles and hitting the clearance racks after Christmas. We have been collecting jars for months from family members, and have many vintage mason jars in our basement (they came with the house!). We are planning to line the paths with candles, to hang candles in the trees and string lights up wherever possible. I am so excited about the romantic feel the candles and warm lights will give our wedding, I believe the lighting will help us achieve our wedding vibe more than anything. The second thing I really wanted to do was decorate the trees. This photo (below) totally inspired me and single-handedly created my biggest DIY project. In my next post, my first DIY tutorial (!! ), I will give you all the details on how this photo inspired our massive DIY undertaking of creating wood block photos to decorate the trees. 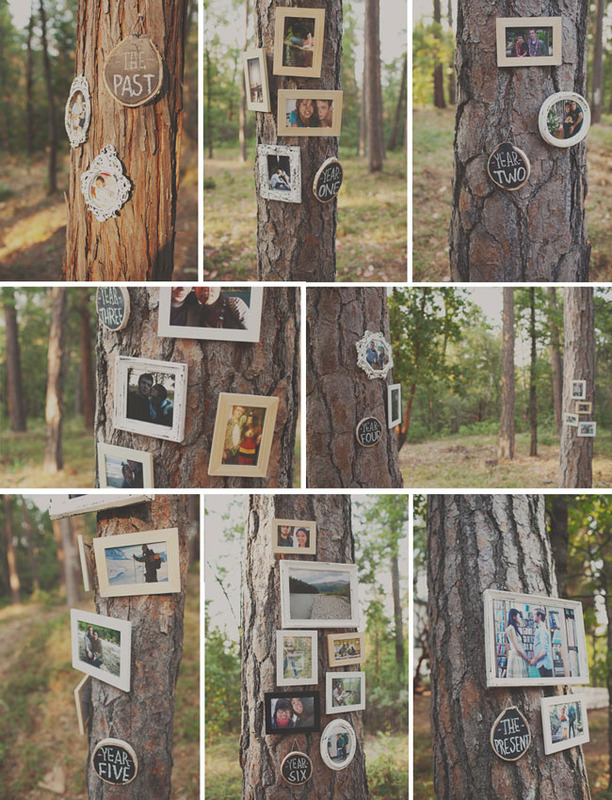 What was your biggest wedding DIY?